Two Pennsylvania state lawmakers are hosting a concealed carry-related course later this month. 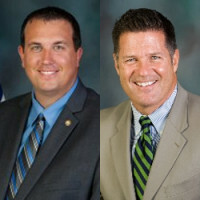 Reps. Seth Grove and Mike Regan are hosting the non-live fire course that will focus on the legal elements of carrying concealed in the Commonwealth. This sounds like a great opportunity for folks around Wellsville, PA in York County. You certainly don’t hear about lawmakers doing events like this very often, and I think they deserve credit for providing such a class that helps people understand how to carry lawfully. And it’s not even an election year! Five minutes down the road and free?!?! I’m going if nothing else is planned! Phil Klein and Jon Mirowitz do these courses. Check PAFOA for more info. I have taken Klein’s 2 of the three courses. Well worth the 4 hours. I have had time with Jon to discuss issues in the City of no Love. I checked PAFOA, found nothing, if you know where it is please pose a link.